We treat our team like family. We value family as much as we value the pride our associates take in the jobs they do for our customers. We want our employees to not only take pride in their work, but in their appearance, in the relationships they have with co-workers and customers. Our service expectations are high and we do our best to provide our associates with the tools, the training, advanced technology and the motivation that permits them to exceed the demands of our customers. We encourage our staff to share ideas that improve our processes and customer service in an atmosphere that is conducive to professionalism, honesty and intuitiveness. Meet some of our humble heroes. 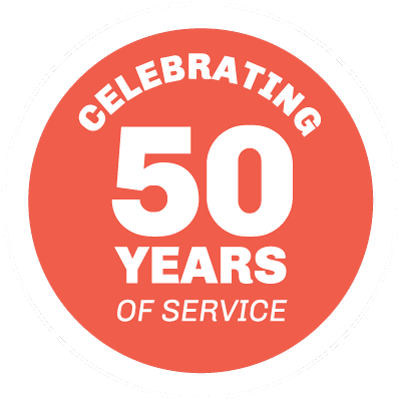 Don Brown formed Rogers & Brown in 1968, setting out to fill a void in customer service for the shipping industry. His vision and principles have helped him grow the company from three employees to over 100 with offices and partners around the globe. All built on his promise of delivering exceptional customer service. A licensed Customhouse Broker with more than 45 years experience in the transportation industry, Don continues to help guide the company toward the future. He is a graduate of Palmer Business College with a degree in Business. Don is married with four children and eight grandchildren. Outside of the office, he enjoys hunting, golfing, working on his farm and traveling in his RV. After graduating from the College of Charleston with a BS in Corporate Communications, Bo went on to work in Charleston for one of the largest steamship lines in the world. Shortly after his tenure in the steamship industry, he began to work full time for Rogers & Brown. Bo went through an intensive internal management development program that has taken him through almost every aspect of the company. He has made many international trips abroad to meet with agent affiliates and develop additional international business. Prior to him being President, he was appointed to Vice President of Administration with direct responsibilities over accounting, sales, HR, information systems, and agent relations. As vice president of operations, Raymond oversees all of our Import and Export Operations. In his 26 years with the company, Mr. Kelley has gained an unparalleled understanding of all aspects of the logistics business providing a sense of confidence to our customer base as a result of his knowledge. Raymond is a licensed Customhouse Broker and has taught preparation courses for the Customs Brokers Exam and certification classes for Hazardous Material documentation handling. Originally from Johnston, SC, he is a graduate of the College of Charleston. He has two children and resides in Charleston, SC with his wife. Gabe’s role as Vice President of Operations and Finance is a hybrid between operations management and accounting dedicated to the continual growth of Rogers & Brown’s international transportation services. He began working for Rogers & Brown in 2006 after beginning his maritime career with one of the world’s largest steamship lines. Gabe’s tenure with Rogers & Brown has included successful leadership/operational management roles in both our import and export transportation departments. From the experiences gained, Gabe is using his talents to drive new Sales & Global Development growth of Rogers & Brown’s international transportation into the next generation. Originally from Waynesboro, VA, he graduated from Clemson University and resides in Charleston, SC with his wife and two children. Mark Hughes began his career with Rogers & Brown in February 2004. During his many years with the company, he has worn many hats: Account Representative, Team Leader, Account Manager, Director of Warehousing, Operational Director-Domestic Supply Chain and currently holds the position of Vice President of Operations and IT. His first position was in the Export department which paved an International attribute that has contributed strongly in warehousing and domestic transportation services. Mark arrived in Charleston shortly after graduating with a B.S. in Business Administration from Old Dominion University in Norfolk, VA. He is married, has three children and resides in Summerville, SC. Cindy has been responsible for the corporate accounting department since 1987. Her system of checks and balances is impeccable and work ethic second to none. She previously was employed by Hyland, Ruddy & Garbett, CPAs and has a B.A. degree in Fine Arts from the College of Charleston. She has two sons and resides in Mt. Pleasant, SC. We were fortunate to welcome Beth to our Charleston Export Department 1981. In 1997, after honing her extensive knowledge of accounting processes, including LIFO and FIFO, she was promoted to duty drawback manager. Ms. Morris attended college at Trident Technical College and the College of Charleston, where she completed an Intermodal program. She has also undergone extensive Duty Drawback and compliance training. Beth is married, has two children, and resides in Charleston, SC. Roger Hartley began his career at Rogers & Brown in January 1987. During his 25 years with the company, he has taken on many responsibilities: Import Account Representative, Team Leader, Warehouse Manager, and currently holds position as Director of Warehousing at Brown Distribution Centers. His first position was in the Import department which paved an international attribute that has contributed strongly in warehousing services. Roger was born and raised in Mount Pleasant, SC and served time in the US Air Force before joining the Rogers & Brown Team. Debbie came to Rogers & Brown in 2000 after 10 years experience in the food brokerage business. Having been hired as an Import Customer Service Representative Debbie was quickly promoted to team leader. After serving as an Import Customer Team Leader for 5 years, Debbie was promoted to Corporate Import Manager in September of 2006. Debbie resides in Hanahan, SC with her husband Jerry and has 5 children and 6 grandchildren. Courtney started working at Rogers and Brown in July of 2008. She began her career working in Inbound Transportation. She was promoted to Inbound Transportation Manager and then shifted to NVOCC Manager. She currently overseas the inbound/outbound pricing along with NVOCC export operations. Courtney is a member of CWIT and the Lions Club. She is a graduate of John Carroll University and resides with her husband in Mt. Pleasant, SC. Since joining Rogers & Brown in 2002, Ken has quickly become one of the most successful sales managers in our company’s history. His accomplishments can be attributed to his extensive sales experience in the textile and insurance industries. Mr. Bolin was previously employed by TNS Mills, Inc. from 1987 to 2002. As general manager of sales from 1997 to 2002, Ken managed all aspects of the department and helped develop and maintain client bases in Canada, Mexico, and Central and South America. Located in our Greer operations office, Ken earned a B.S. degree in Business Administration from Wofford College in Spartanburg, SC. He is married, has two children and resides in Columbia, SC. Cathy has been a vital part of the Rogers & Brown team since 1979. She is a licensed Customhouse Broker and has been managing the Greer office for 19 years. Clients have come to rely heavily on her in-depth industry knowledge, as well as her ability to quickly find and solve problems. Cathy is married with three children and lives in the Greenville, SC area. Tanya began working in our Import Department in 1989. After five years she was moved to our Export Division and in 2005, promoted to air freight manager. She is a licensed Customhouse Broker and certified in IATA Dangerous Goods. Tanya is married with two children and resides in Simpsonville, SC. Lori has worked in the import industry for over 25 years and has been a Licensed Customs Broker since 1997. During her time in the industry her passion for trade regulations and import compliance have continued to grow along with her involvement with Houston trade. She currently serves as Treasurer for the Houston Customs Brokers & Freight Forwarders Association, is Co-Chair of the HCBFFA Customs Committee, and serves in several other capacities as a liaison for trade in the Houston port. Lori began working with Rogers & Brown in 2001 as the Houston Division Manager and enjoys taking a hands on role in the office. Lori’s personal time is spent enjoying the outdoors with her husband Dwight. Recent empty nesters, Lori and Dwight spend lots of time with their 2 dogs and growing family. Their sons Kendall and Bailey have both recently engaged/ married and have their own busy lives but when the family can sneak away they love to camp or spend time on a beach. Dwight & Lori also enjoy hosting small group Bible studies in their home. Mary Ann Jones was hired in 1998 as an import clerk and after two years was promoted to division manager. Prior to beginning her career at Rogers & Brown, Mary Ann worked as the liaison between manufacturers and military customers for S & K Sales Co, a military broker. Mary Ann is a licensed Customhouse Broker, is married, and resides in Norfolk, VA.
Pete’s career and his passion for all modes of Transport and Logistics includes a nineteen year tenure at Rogers & Brown with responsibilities for development, operations, and growth of the domestic Logistics areas. Prior to becoming a part of the Rogers & Brown Team, he held Logistics positions at a major manufacturing company and an LTL trucking company. Originally from Saluda, SC, he and his wife reside in Simpsonville, SC.